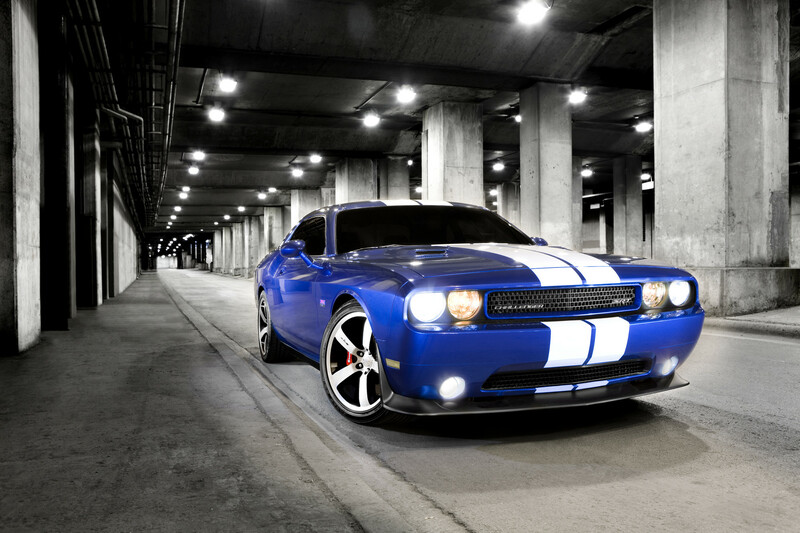 October 25, 2010, Auburn Hills, Mich. - Dodge's ultimate modern American muscle coupe, the Dodge Challenger SRT8 392, receives a big boost in horsepower and torque with the introduction of the legendary 392-cubic-inch HEMI V-8 powertrain for the street. Unique "392 HEMI" badges flank both fenders touting the historically significant V-8 engine. Mopar quad exhaust tips deliver the performance exhaust note while adding a serious muscle car styling cue. 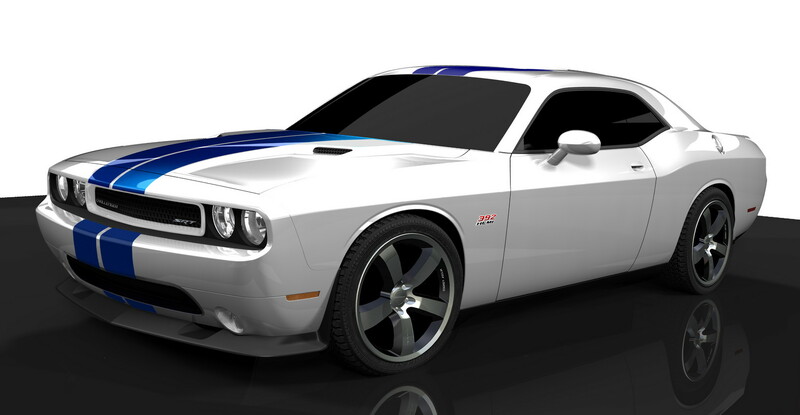 A larger front splitter and integrated front fender spats give this Challenger SRT8 392 better overall high-speed aerodynamics and balance. The race-inspired interior of the Challenger SRT8 392 Inaugural Edition features standard Smooth Pearl White leather-trimmed seats and dual blue stripes accented by unique blue stitching. Each of the front seats features an embroidered "392" just below the headrest. An exclusive, serialized "Inaugural Edition 392 HEMI" dash plaque, showing the sequential build number from 1 to 1,492, rounds out the exclusive interior content. There's a lot of history attached to the iconic 392 HEMI name. The original 392 HEMI engine was introduced in 1957 model year Chrysler and Imperial products, replacing the 354 cubic-inch version of the original HEMI launched in 1951. The new and improved HEMI V-8 engine was quickly adopted by drag racers of all types, and following various historical speed runs on land and water, soon became affectionately referred to simply as the "92".